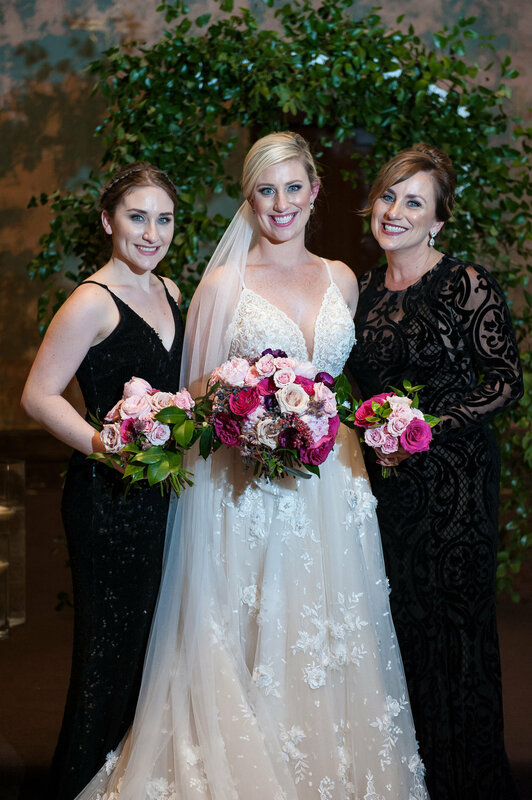 This fancy New Year’s Eve wedding was so much fun! Really, NYE is the best for any wedding. Everyone is so excited for your big day (and the new year!) and on a day with so many incredible moments, you also get to have another big ball drop moment at midnight! 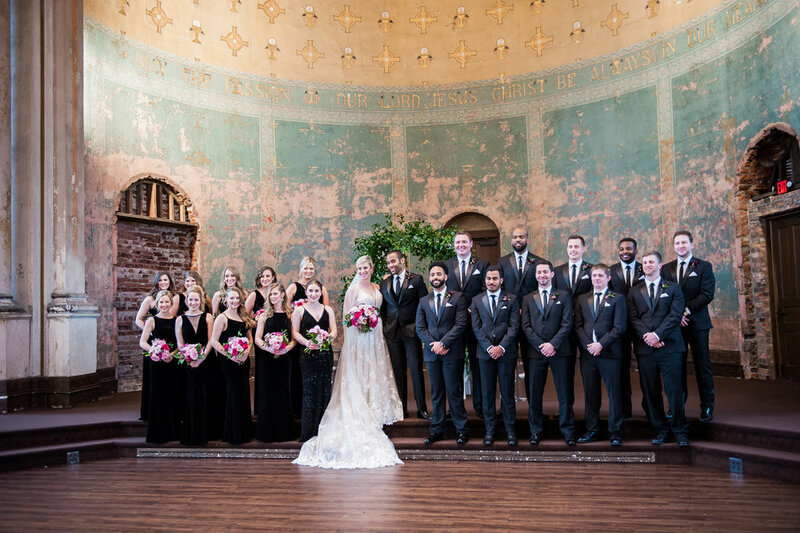 Amanda and Chris had such a classically beautiful wedding at The Monastery. I had such a great time working with them throughout the year to design our flower plan; they are a great couple and you can really see how much they love each other right off the bat. 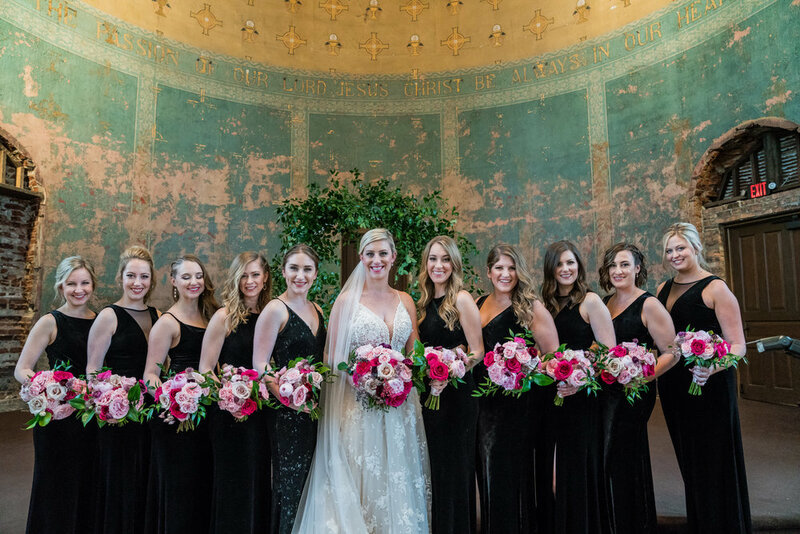 The bridal party wore classic black, so we went bold with the flower colors to bring in a statement. I loved all the bright pink and juicy purples that we incorporated into the arrangements. We capped the ceremony off with an organic greenery arch to frame the couple. The great thing about having both the ceremony and reception at The Monastery is that arch was able to be a focal point the whole night. Working at The Monastery is one of my favorites because the venue is absolutely gorgeous, but the staff is also incredible. I know that anytime I work there everything will be seamless.